Place: University of Nicosia, Room –M203 (–2 in Millenium building). “20 false friends between Modern Greek and Cypriot Greek: a survey in High Schools of Nicosia and Athens”. Nandia Hatzopulu and Marianne Katsoyannou (The talk will be given by Mrs Nadia Hatzopoulou). “Language with (or regardless of) communication? A view from evolution and atypical individuals”. The talk will be held on Friday, November 25th, 2011, 18:30-20:00, Room A011 Old University Campus, Kallipoleos 75, University of Cyprus. You may visit https://cyling.org/events/ for more details. Dr Andreas Papapavlou, Professor of Linguistics, University of Cyprus, has been invited by Dr Dimitra Karoulla-Vrikki, Assistant Professor of Linguistics, to deliver a lecture for the students attending the course LIN221 Applied Linguistics at European University Cyprus. The lecture is the first activity of the plan ‘Invited Local Linguist’ that has been approved by the School of Humanities and Social Sciences, European University. The lecture will be given on Thursday 17 November from 1:05-2:20 in Amphitheatre B (new premises). The distinguished H.D. scholar and poet, Rachel Blau DuPlessis, Professor Emerita, Temple University, Philadelphia, Pennsylvania, USA will deliver the inaugural Nephie Christodoulides memorial lecture entitled, “Polymorphous Poetics: The Importance of H.D., Robert Duncan’s H.D. Book, and the Erotics of Reading”. Wednesday, 16 November 2011, at 18:00, Main Auditorium, University of Cyprus, 75 Kallipoleos Street, Nicosia. In this lecture, featuring the recently published contemporary classic by Robert Duncan called The H.D. Book, Rachel Blau DuPlessis interprets the importance of H.D. to this book-length essay by the contemporary U.S. poet Robert Duncan (1919-1988), and Duncan’s contribution to literary history by his critique of gendered literary traditions. The Dean of Humanities, Professor Andreas Papapavlou, will introduce the event. After the lecture the award ceremony will take place for the first poetry competition for BA students in English at the University of Cyprus, the University of Nicosia and the European University of Cyprus. There will be a reading of the three award-winning poems. A reception will follow. All Welcome. Nephie Christodoulides was born in Limassol in 1958. She held a BA from the University of Athens, an MA in Creative Writing and Literature from Emerson College, Boston and a PhD in English from the University of Stirling in Scotland. From 1986 to 1992 Nephie worked as an Assistant Professor at Cyprus College, where in 1991 she received the Special Faculty Award, awarded by Cyprus College for distinguished faculty. In 1992 she joined the University of Cyprus as an EEP. From September 2005 to January 2006 and between 2007-2009, she was Visiting Assistant Professor at the Department of English Studies, and formally joined the Department in 2009. In 2000, she received a Helm Fellowship from the University of Indiana at Bloomington and in 2005 a grant from the American Embassy in Nicosia which enabled her to do archival work at the Beinecke Library at Yale University. From 2002-2006, she was Secretary of the local chapter of ESSE (European Society for the Study of English). 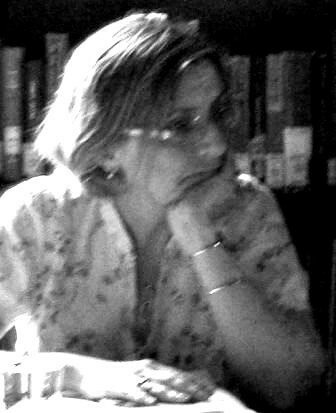 She was a member of ESSE, of t he York University Association for Research on Motherhood, the Hellenic Society of American Studies, the European Association for the Teaching of Academic Writing, the International Association for Philosophy and Literature, the NEMLA and the Modernist Studies Association. She participated in many conferences in England, France, Spain, Greece, Cyprus, Austria, The Netherlands, Scotland, Denmark, the United States and Canada.